After such a long break since my last post I do have some very fine news to share. 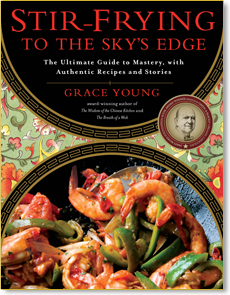 Two weeks ago my book Stir-Frying to the Sky’s Edge won the James Beard Foundation Best International Cookbook Award. I’m still on cloud nine feeling a mixture of disbelief and happiness. I’ve been overwhelmed by the outpouring of congrats and good wishes. 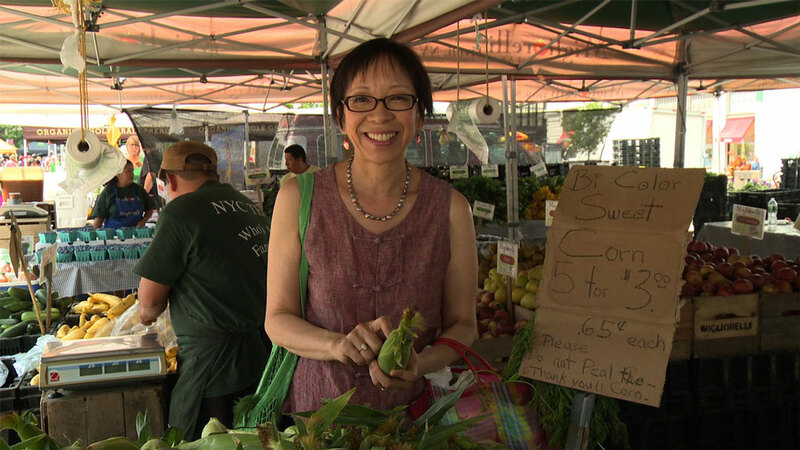 The one that floored me the most was reading Marion Nestle’s Food Politics blog and discovering that I was Marion’s sentimental favorite to win. That’s an award in itself. I certainly know how it feels to not win. 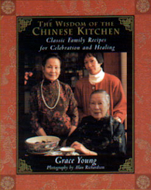 My first cookbook The Wisdom of the Chinese Kitchen was nominated for a Beard but lost. And I know how it feels to be overlooked. 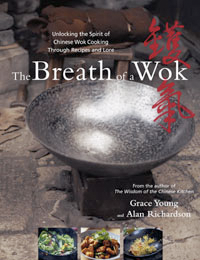 I humbly thought my second cookbook The Breath of a Wok was a great achievement but alas it was not nominated for a Beard although it did win two IACP awards. I was therefore very grateful to be nominated in a year that had many extraordinary cookbooks and doubly amazed to actually win. Last week my friend Meredith observed when she saw this photo of me, “I love how your fingers are clasping that award!” I hadn’t realized I was gripping it quite so tightly but this picture does tell the whole story. Writing a cookbook is a long arduous adventure. Jonathan Waxman who just published Italian, My Way said, “It’s like eating a pound of sand.” I’m indebted to many friends who stood by me through some challenging times and helped me reach the finish line. 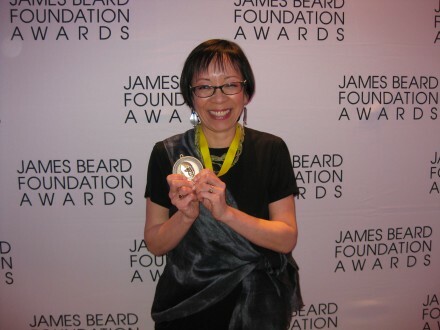 I am very honored to be a James Beard winner and I will treasure this award for a long time to come. I am curious about your title that is derived from the old Chinese saying (one’s wok runs to the sky’s edge). I’ve been trying to track down the characters for this–could you please post them on your FB page?